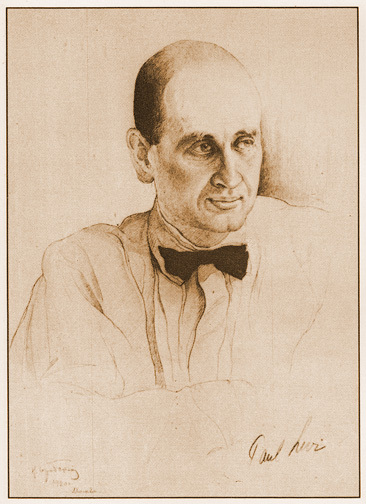 December 30, 2016 –– Links International Journal of Socialist Renewal reposted from International Socialist Review with the author’s permission –– Antonio Labriola, if he is known today at all, is remembered as a minor Marxist theorist in the Second International, overshadowed by such well known figures as Karl Kautsky, Rosa Luxemburg, or Eduard Bernstein. Sometimes Labriola will be mentioned as a formative influence on the Marxism of Antonio Gramsci and Leon Trotsky. Yet Labriola deserves to be known and studied based on his own merits. He provided a critique of Second International orthodox Marxism, arguing that it divorced theory and practice, engaged in sterile, dogmatic systematization, and held to an economically deterministic form of Marxism. 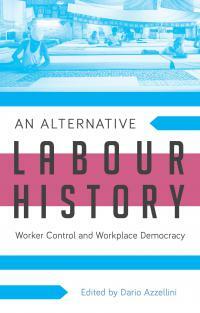 Labriola revived Marxism as an open philosophy of praxis, that is, as a critical and revolutionary method. He did not take for granted the inevitability of historical progress, but argued that it was necessary for socialists to intervene actively in shaping it. 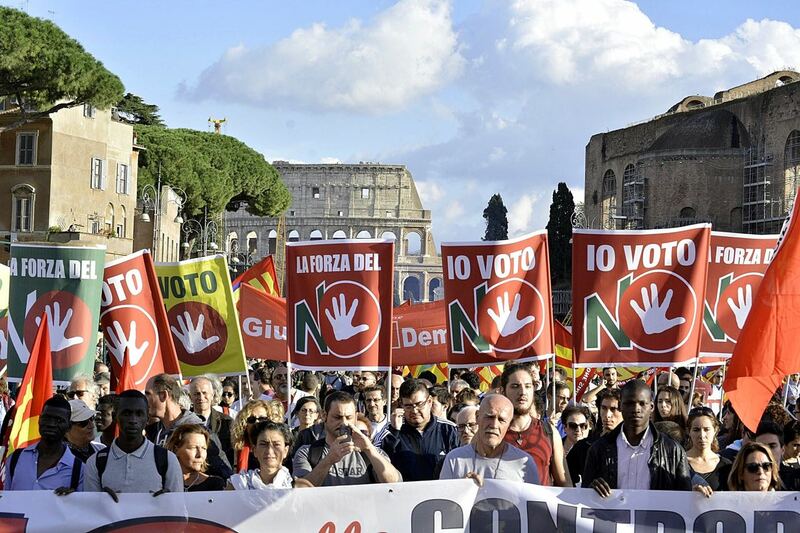 December 10, 2016 — Links International Journal of Socialist Renewal reposted from International Viewpoint — Listening to the media, you would think that yesterday’s Italian referendum results were yet another victory of right-wing populism against democracy. The situation, however, is much more complex than this, and the No victory is a victory for democracy and for the defense of social rights worth celebrating. Italian constitutional referendum: next win for ‘populism’? November 30, 2016 — Links International Journal of Socialist Renewal — “The mother of all wars”: that’s how, in the September issue of the left magazine Critica Marxista, constitutional law professor Claudio De Fiores described the campaign around Italy’s referendum on amending the country’s 1948 constitution. July 12, 2016 -- Links International Journal of Socialist Renewal reposted from International Socialist Review -- As the Communist International’s Third Congress convened in Moscow in June–July 1921, the powerful working-class upsurge that had shaken Italy months earlier was fresh in delegates’ minds and posed a backdrop to their debates. For more discussion on the ideas of Antonio Gramsci, click HERE. June 22, 2015 – Links International Journal of Socialist Renewal -- The purpose of the Red History Lecture Series since its inception has been to discuss lesser known or neglected socialist and communist figures, movements, and events. So it may be rightfully asked – why discuss Antonio Gramsci? The slave revolt led by Spartacus shook the Roman world to its foundations and, although a failure, has inspired the oppressed for centuries. Communist historian Doug Enaa Greene delivered a talk at the Center for Marxist Education on Spartacus on March 7, 2015. May 15, 2015 – Links International Journal of Socialist Renewal -- The ancient rebellion of Spartacus and tens of thousands of subjugated slaves is arguably the most famous slave revolt in history. During his lifetime, Spartacus dared to challenge the dominance of the Roman slave masters and their Republic. In subsequent generations, the name of Spartacus has stood forth as a symbol for resistance and liberation from oppression – inspiring the Haitian slave Toussaint L'Ouverture, who led a successful revolt in the 1790s; Karl Marx; and Germany's Spartacist League of Rosa Luxemburg and Karl Liebknecht. February 20, 2013 -- Johnriddell.wordpress.com, posted at Links International Journal of Socialist Renewal with permission -- How did Communist parties handle issues of internal discipline and democracy in Lenin’s time? 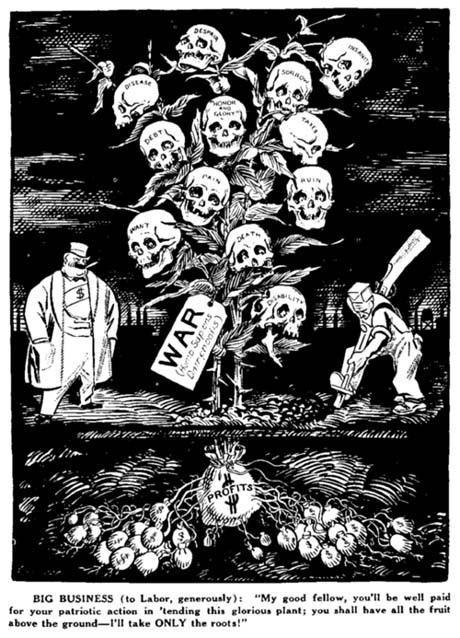 An intense discussion now under way within the British Socialist Workers’ Party (SWP) raises issues related to the nature of internal democracy in the Communist International (Comintern) during 1919–23, the period of its first four congresses. 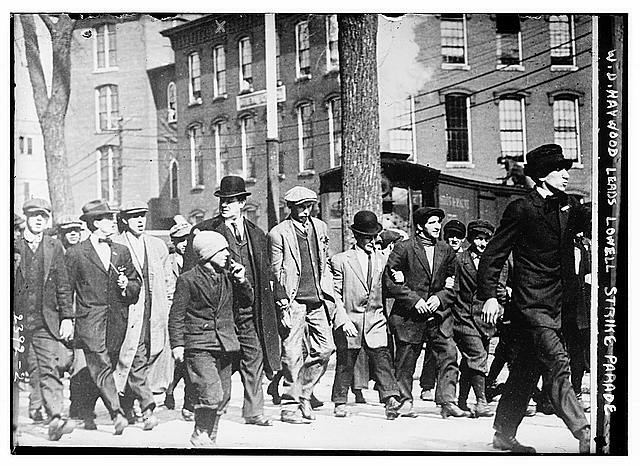 William Dudley (Big Bill) Haywood, US labour movement leader, marching with strikers in Lowell, Massachusetts, circa 1912. Read more on the IWW, Gramsci and Victor Serge. These words of Victor Serge sum up a whole new wave of thinking that came over many anarchists, anarcho-syndicalists, and socialists with the onset of the Russian Revolution. Many anarchists, syndicalists, and socialists who had been hostile to the practices of organized socialist parties for decades found themselves drawn to the example of the Bolshevik Revolution and joined the emerging Communist Parties, providing them with valuable cadres. One of these men was Victor Serge, a Russian exile most noted for his later work as a novelist. Another was Bill Haywood, an American trade unionist active in both the Western Federation of Miners and the Industrial Workers of the World. A third was James P. Cannon, another trade union militant in the USA. A fourth was Antonio Gramsci, an Italian journalist and political activist. 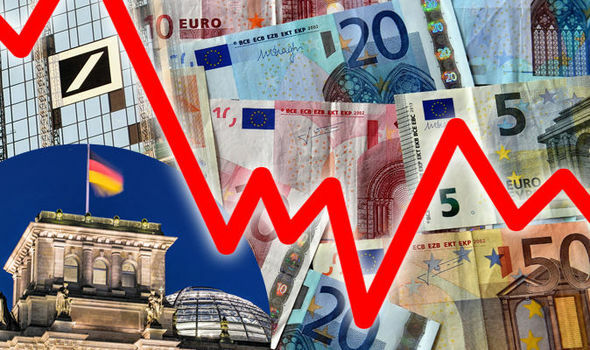 November 16, 2011 -- Links International Journal of Socialist Renewal -- In recent years Karl Marx has again been featuring in the world’s press because of his prescient insights into the cyclical and structural character of capitalist crises. Now there is another reason why he should be re-read in the light of Greece and Italy: the reappearance of the "technical government". As a contributor to the New-York Tribune, one of the widest circulation dailies of his time, Marx observed the political and institutional developments that led to one of the first technical governments in history: the British cabinet of the Earl of Aberdeen, December 1852 to January 1855. In Portugal, November 2010 general strike called by the Communist Party-led CGTP and the Socialist Party-led UGT was massively supported, with 3 million strikers out of a workforce of 4.7 million. 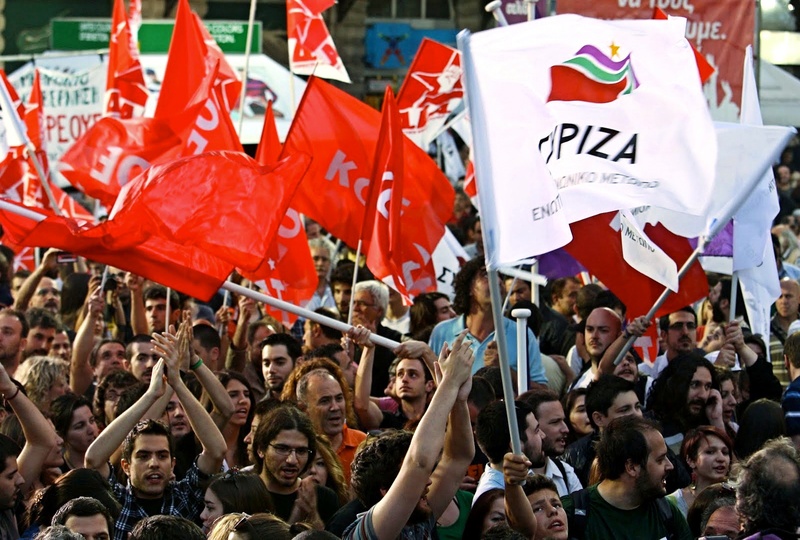 March 6, 2011 -- New Socialist -- With the onset of the world economic crisis, the European workers' movement finds itself in a new phase, one that is replete with dangers and challenges. It is important to underline that we are in fact in a new situation and not just a continuation of the previous period. 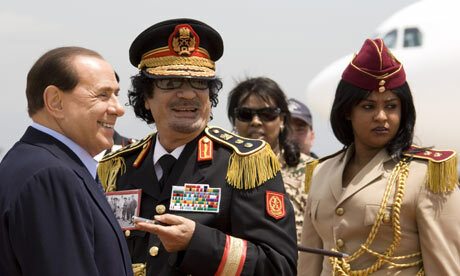 Italy' President Silvio Berlusconi and Colonel Muammar Gaddafi. Updated February 25, 2011 -- Links International Journal of Socialist Renewal/Green Left Weekly -- On February 22, Muammar Gaddafi was boasting on state TV that the Libyan people were with him and that he was the Libyan revolution, even while his dwindling army of special guards and hired mercenaries attempted to drown a popular revolution in blood. Civilians were strafed and bombed from helicopters and planes. Snipers with high-powered rifles fired into unarmed crowds. Two pilots flew their fighter jets to Malta rather than bomb their own people and another two are reported to have crashed their jets rather than attack civilians. Sections of the armed forces, several diplomats and a couple of ministers have abandoned the regime and, at the time of the writing, the east of Libya was in the hands of popular revolutionary committees.